**Please Contact Us Before Placing Your Order To Be Sure We Can Fit The Name In The Provided Space... And For Turn Around Times.. Thank You! 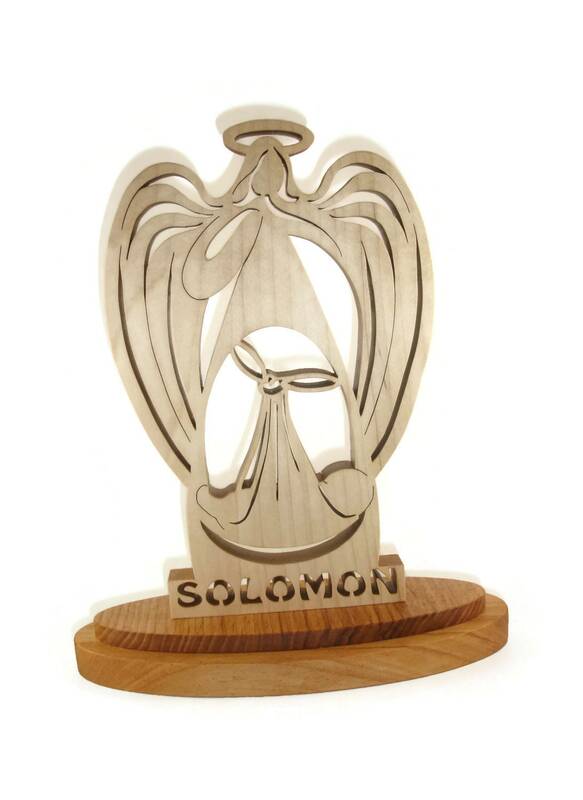 Guard your baby's room with this beautiful personalized baby's guardian angel nursery or home decor. 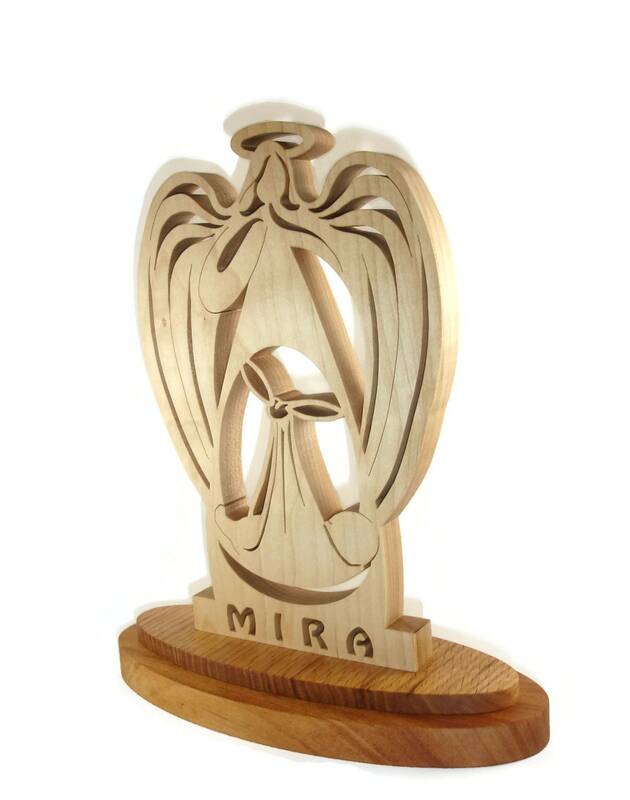 This personalized baby guardian angel nursery or home decor shelf plaque was cut out from maple wood by hand using a scroll saw. 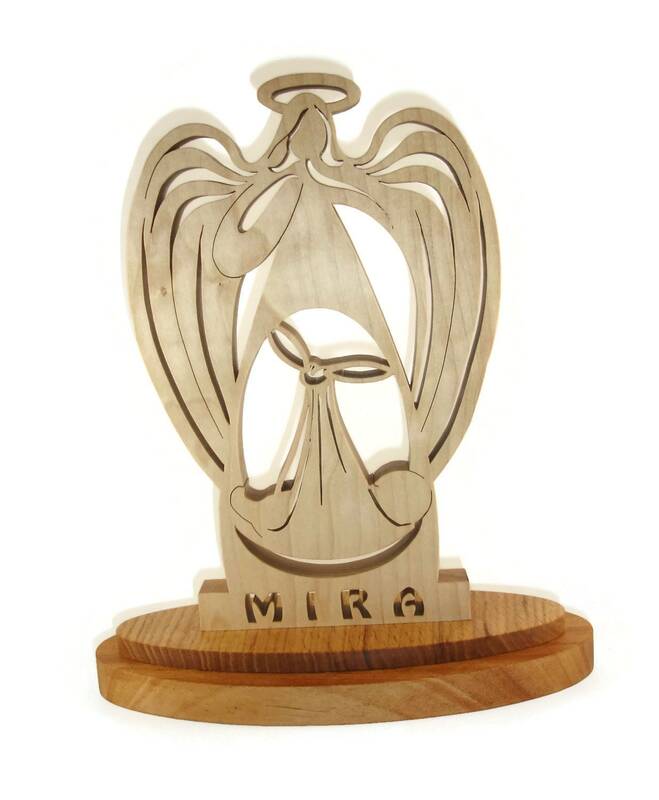 This guardian angel features a angel hovering over a baby in a fabric bassinet sling with the baby's name cutout below.. 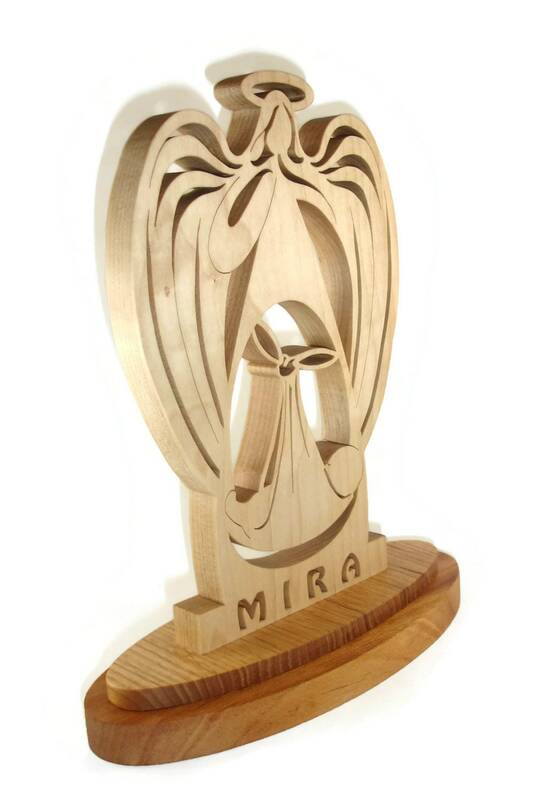 The Base is made up of oak ( top portion ) and Mahogany ( lower base section) that are glued together and the angel is then glued to the base. A all natural non-toxic beeswax and mineral oil finish is then applied to bring out the natural beauty of the wood.